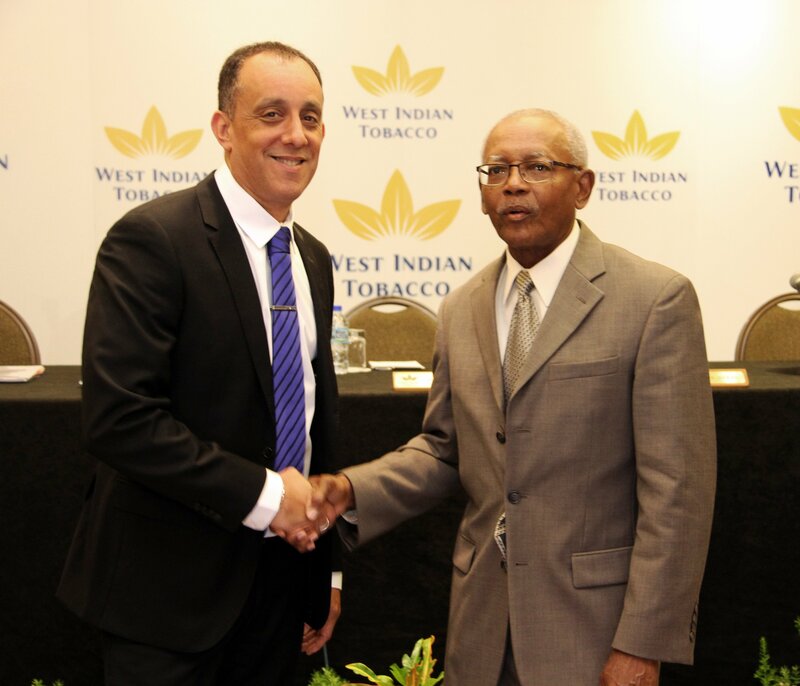 THE taxation regime on tobacco products has made this country a “smuggler’s paradise,” managing director of the West Indian Tobacco Company (Witco), Jean-Pierre Du Coudray has said. “Over the years (the State) has taxed cigarettes so much that it’s created a smuggler’s paradise because the profits from illegal versus legal are so huge people are willing to take that risk. Once that remains, you will always have smuggling,” Du Coudray told reporters after the company’s annual general meeting yesterday at the Hyatt Regency, Port of Spain. The illicit tobacco trade is one of the biggest challenges to the legal industry. He suggested amending the tax structure to make smuggling less attractive. Enforcement of the Tobacco Control Act (introduced in 2009) is also something that needs to be considered. “I don’t think there’s been one single arrest since that time. No ticket. No nothing. There’s zero enforcement,” he said. Witco stands ready to assist the various agencies, he said, although it’s still waiting to be invited to the table to present its suggestions for countering smuggling. Most of the illegal products are coming from Asia, namely China and Vietnam, he said, and as part of the international British American Tobacco group, the company can draw on partner experience to help develop deterrents, he said. In 2016, the government introduced a 15 per cent increase to cigarette taxes. “It’s not so much the taxes but the implications of those taxes,” Du Coudray said. “Once taxes went up, more brands came into the market– suspected illegal brands,” he said. Based on the impact of sales, Witco estimates illegal cigarettes to be three percent of the market. One of the company’s strategies to compete with illegal brands is the reintroduction of the Mt D’Or brand– its lowest-end product– that it believes has succeeded in making a dent in the illegal market. When the brand was launched in 2015, Du Coudray said, it was at two per cent of the market; today, it’s 30 per cent. While the obvious strategy is to grow the market in the higher end, Du Coudray acknowledged the impact of the economic recession on people’s purchasing power– which is why Mt D’Or was so popular. “We may need to leave Mt D’Or at a certain price to do its job to compete with illegal brands,” he said. It’s better to keep market share with a lower end brand than lose it completely he said, and for every one percent of the market the company regains, it increases profits by $6 million. The company recorded $549.7 million in profits for 2017, a 21 per cent decline from 2016’s $693.7 million. Revenue declined by 15 per cent to $150.7 million. Reply to "WITCO: Tobacco tax makes TT a smuggler’s paradise"